Join Us in Harrisburg, PA for a rally and nonviolent moral resistance as part of the Poor Peoples Campaign: A National Call for Moral Revival. 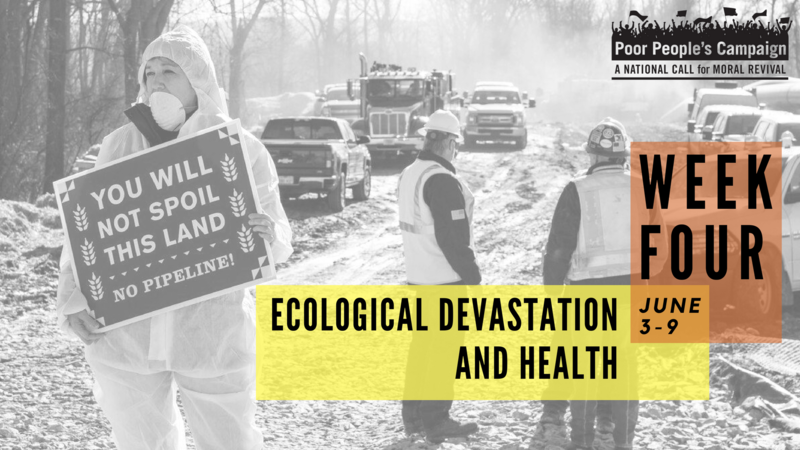 The fourth week's theme is "Ecological Devastation and Health." Please RSVP for this event by May 31 if you are interested in attending and please register each person over 18 in your group/party separately. If you are travelling from far or near you are welcome to come in on Sunday afternoon. Starting at 5pm, we will be providing dinner and hosting people overnight at houses of worship in Harrisburg.